Dunlavey Street in central Houston typifies the image of a Southwestern city street. It’s a sprawling, four lane affair that is approximately 50 percent usable, 80 percent pedestrian unsafe, and, in this case, 100 percent in need of an update. Transportation officials are evening out the numbers for a proposed road diet that would reduce the four-lane street to two and using the outer lane space for parking, improved sidewalks, and bike lanes. Currently, many of Houston’s wide streets—and some of its highways—operate under the principle of induced demand. This idea dictates that existing space is utilized by sheer import of its presence. In other words, people use big roads because there are big roads to use. But the outer lanes of Dunlavey are hardly drivable. They are pothole-ridden, with uneven gutters and extensive debris. Because the lanes go largely unused, pedestrians misguidedly utilize them, sometimes with fatal results. Removing the exterior two lanes would remove confusion over what is drivable area and what is not. It would clearly delineate the road’s functionality, and create a responsible message to drivers and citizens about the roadway’s capacity. In years past, expanding outward has been the modus operandi of Southwestern transportation. Cars, and not people, determined the size of roadways. But this proposal overturns that tradition. The space that comes from the unused exterior two lanes will be converted into parking, bicycle lanes, and better sidewalks. According to planners, these changes will facilitate more efficient traffic, increase pedestrian safety, and encourage alternative methods of transportation such as biking or walking. 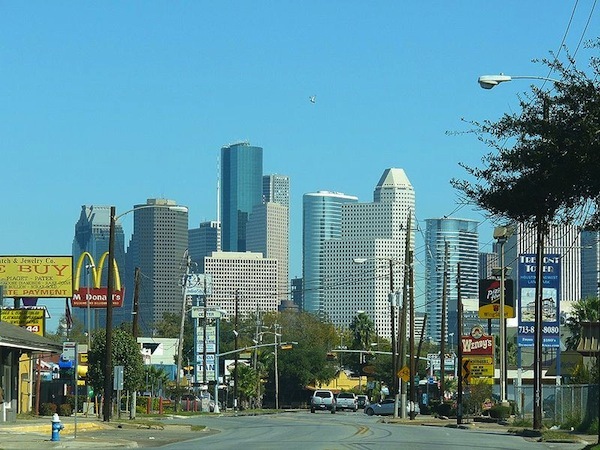 It also curbs the expansion trend’s tendency to impinge upon private property—an aspect that, commuter or not, Houston’s citizens should be pleased about. If all goes according to plan, the proposal aims to not only increase the quality of life in Houston, but to be the beginning of a larger trend. Developers hope that Houston will be the next city that roadway planners look to when considering developments. A June open house meeting will follow up on the proposal’s details, while City Council will officially consider the changes in September. The plan’s announcement comes a week after Houston was named among the ten worst cities for pedestrians.